Some things, we expected: in a dozen interviews in the days after Chávez died, I kept repeating that Maduro wouldn’t have any of the three key assets – money, charisma, and personal authority over the movement – that allowed Chávez to rule without recourse to generalized repression, and so a Maduro presidency was likely to prove far more authoritarian than Chávez’s. That, in broad outline, is the story of the last six months. But not everything’s gone as I expected. Here are five things that I’m genuinely surprised by. Planning Minister Jorge Giordani’s brand of Utopian Marxism has been so deliriously damaging to the Venezuelan economy, and is so plainly unsustainable as the nation lurches towards a Balance-of-Payments crisis, I’d long taken it for granted that his days in the Maduro cabinet would be brief. 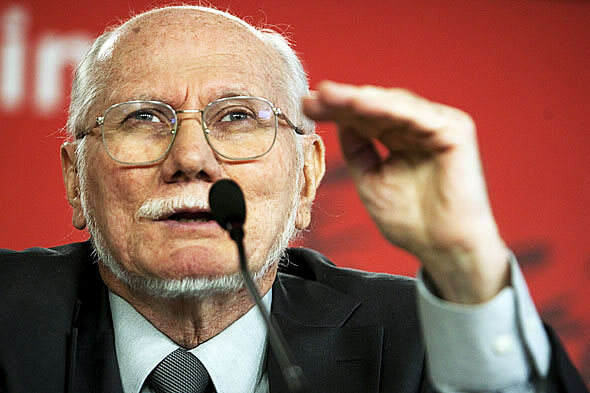 Like Rafael Isea’s, Giordani’s tenure seemed to rest solely on his personal link with Chávez, right? While Giordani has certainly been knocked down a peg by losing the Finance portfolio, he appears well dug into his Planning Ministry foxhole. The remarkable thing is that he manages to hang on even without quite being a faction-head, and without (AFAIK) a testaferro empire of his own. Perhaps he’s become a kind of totem for an extremist faction whose support Maduro can’t afford to lose just yet. What’s amazing is that El Monje seems to retain a de facto veto over major economic policy decisions, and has fought an amazingly successful rearguard action to keep basic sanity at bay in terms of exchange rate policy. So next time you go do the store and can’t find half the things on your shopping list, just take a moment to remind the world of Mr. Giordani’s mummy-dearest. 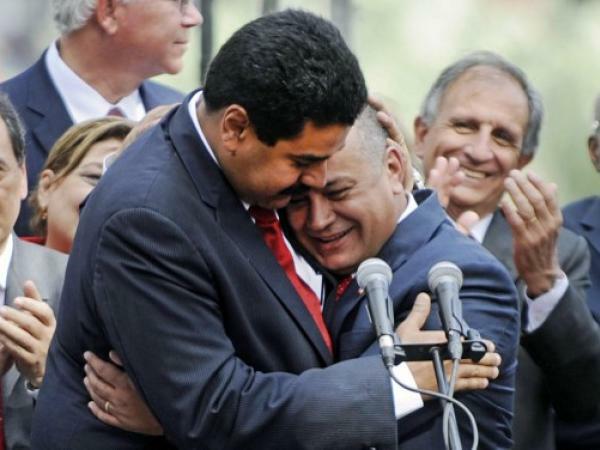 Maybe Diosdado is playing the long game, but the much heralded Cabello-Maduro rift remains more buya than cabuya, more bark than bite. At any rate, predictions that the rift would set off a major governability crisis within months of Chávez’s passing have not come to bear. I may be in a minority here, but to me that points to a government that’s much more stable than ever seemed possible at the start of 2013. Globovision, Cadena Capriles, the regional TV stations and papers, Nolia, now even Aporrea…the scale of the onslaught on any sign of potential media dissent has been startling. What we’ve seen isn’t a continuation of Chávez’s very slow gradualism in dialing back media freedoms. We’ve seen a very acute acceleration of the Communicational Hegemony agenda. At the same time, no new A-List opposition figures have gone to jail, even Richard Mardo is out and about, and while the intimidation tone has never been harsher, we’re not seeing a round-’em-up-and-lock’em-up strategy at play. I expected media repression and actual jailings to go hand-in-hand, but no. This goes together with Giordani’s ongoing prominence. I’d have guessed that the economic shitstorm looming over the government would push for basic pragmatism at the Central Bank, but no! Pragmatism starts with choosing BCV heads who have some notion of what needs to be done. 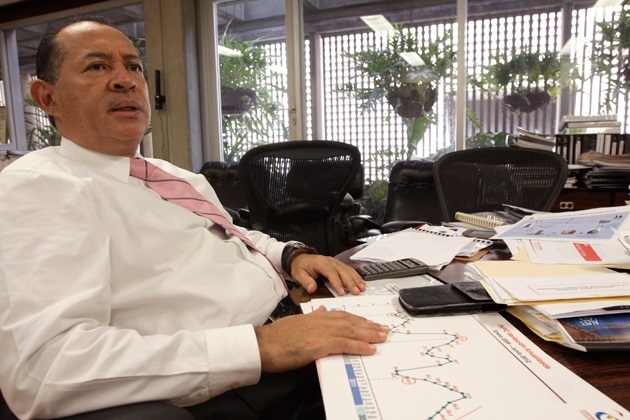 Instead, the government has plumbed dramatic new lows in terms of Central Bank chief selection. Neither Edmée nor Eudomar seem to grasp even the rough basics of the relationship between the money supply, inflation, price controls and shortages (a.k.a., their job). And so money supply keeps growing, insanely, as prices stay pegged, leading to a toxic spiral of out of control inflation and ever bigger shortages. Like Homer Simpson at the controls of a nuclear power plant, these guys don’t seem to understand enough about the systems they’re in charge of to grasp that they’re making it worse. It’s mystifying really. The BCV is undoubtedly the front line in the Economic War, the place where the most important policies that have led to massive shortages and inflation are most directly influenced. If Diosdado and Maduro can’t see they need minimally competent people there, they’re just entirely beyond hope, aren’t they? The Chávez Mystique rested on the combination of fire-and-brimstone rhetoric with a constant, deftly delivered sales pitch. Chavismo ran on his ability to conjure up images of a desirable, fairer, better, ‘prettier’ future, only prevented by the ongoing villainy of an opposing faction of baddies. Yes, as the years went by the fire-and-brimstone:revolución-bonita balance tended to shift further and further in favor of the former, but the latter never entirely faded from view. 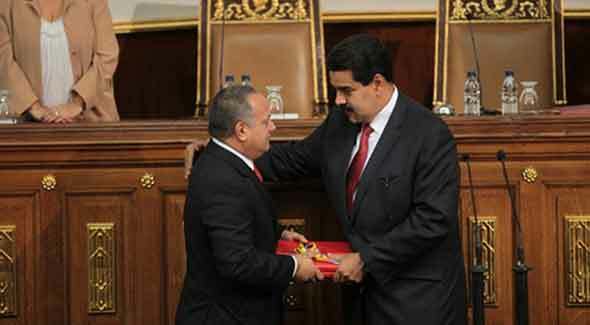 Under Maduro, the attempt to balance all the fear with a little bit of hope seems to have been completely abandoned. Maduro’s utter lack of personal charm has been matched over the last year with the kind of perma-scowl that really leaves no room at all for a “vengan a mí que tengo flor” agenda. It’s all-paranoid-conspiracy-all-the-time with this guy. Which is another way to say, any attempt to reach out to the non-zealot part of the chavista base seems to have been ditched.